We had a crazy warm summer here. People literally dropped like flies. And I live in Memphis, we are supposed to be used to heat and humidity. But even for the locals it was a bit much. It should be no surprise then that our fall has also been ridiculously warm. And while we aren't in the 100's any more, 80's in October seems a bit much. It may be the reason why I can't let go of some of my favorite summer things though - like grilling. In a recent grilling experiment the carnivore and I came up with this - grilled watermelon. I know it sounds kinda crazy. Maybe the heat had gotten to us, but I promise you won't think we are out of our minds when you try it. 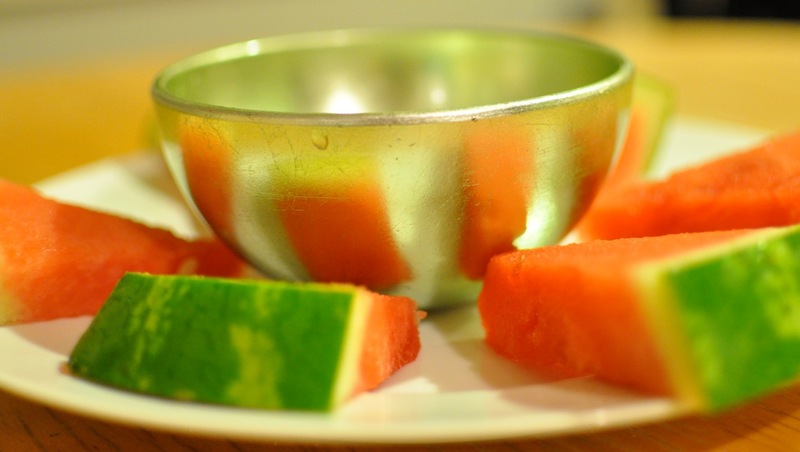 Simply slice the seedless watermelon into thick pieces. Place them on a low heat grill for a minute or so on each side - just enough to warm it through and get the juices sugary. To dip the chunks in, mix together a small container of marscapone cheese and 2 tbsp of organic honey. The warm watermelon melts in your mouth in a sugary burst that is reminiscent of cotton candy. And the creamy dip is divine. 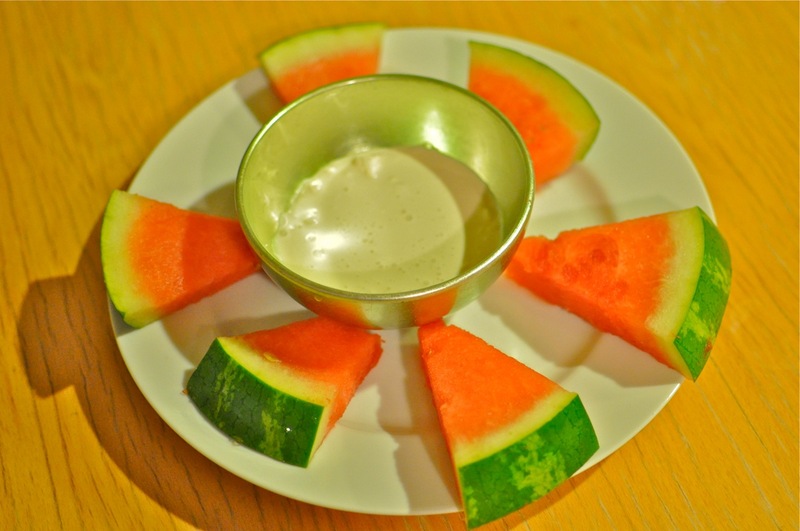 This would make a fabulous appetizer at a tailgate, or an amazing snack at your next play date, or even a knockout dessert the next time you are grilling your dinner anyway. Trust me - watermelon is ridiculously good when warm.